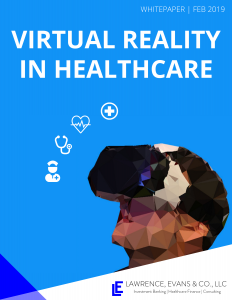 Read the latest on the usage cases for VR/AR in the healthcare sector. Read the latest on the usage cases for blockchain in the healthcare sector. Read the latest on the current environment and positioning of investors within Medical Marijuana. Read the latest on the changing personalized medicine market including genomic sequencing and what it means to your health or business. Read the latest on the changing telehealth market.